Slim smart and stay supple! On many TV shows about losing weight, you see amazing transformations within a few months or a year, but almost all of those people undergo surgery for skin removal. Having been in the massage industry for a while, I have seen how people’s skin looks like after quick weight loss. Using massage, I have also been able to help others with body change, for example my wife during and after pregnancy. I would like to share my experience as a massage therapist by giving some practical advice that you can use to prevent loose skin. Why is the skin is not tightening? What can be done to make the skin look more supple? While your body is shrinking, your skin may shrink too, but that’s not always the case. To understand why, we should look firstly at skin anatomy. The epidermis is the outermost layer of the skin. 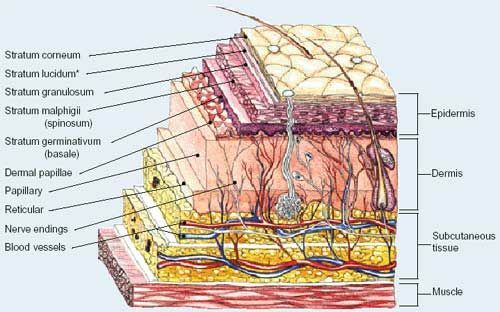 The bottom layer, the stratum basale – also known as the basal cell layer – has column-shaped basal cells that divide and push older cells toward the surface of the skin. As the cells move up through the skin, they flatten and eventually die and shed. In approx. 28 days we have a new skin. The elasticity of your skin depends on the quality of your deepest layers and quantity of collagen and elastin. Simply put, if your skin is well circulated and nourished then it will shrink when you lose weight. By understanding the nature of skin retraction, we can slim smarter. Here are some “rules” to follow. I am not an expert in nutrition but many nutritionists will advise to lose weight slowly, in this way your metabolism can adjust and your skin can have enough time to contract. 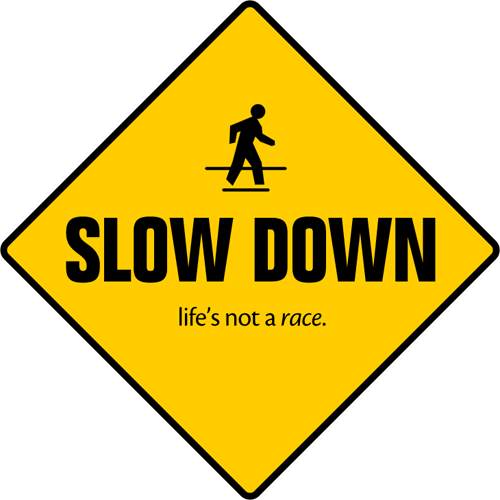 If the process is fast, your brain will “think” that something is going wrong and will try to prioritise: functioning of the vital body systems first (like cardiovascular, digestive, lymphatic systems) and skin the last. Don’t go on a drastic diet, change should be step by step, in this way your digestion will adapt well and you will not put back on weight easily – slowly but surely! Another bad consequence for your skin are frequent weight changes. If you go from diet to diet loosing and gaining in weight, your skin will not be able to stretch and go back as quick, so try to maintain the same body weight or to slim slowly. Your skin needs to be well hydrated and well-nourished. This will influence quantity and quality of elastin and collagen. We all know that we are made up of 50-65% water so this is vital for the skin too and it is a direct proportion between hydration and skin elasticity, less water – worse elasticity, increase in roughness and sensitivity. If you find it hard to drink water without being thirsty try to increase the quantity slowly, a trick for this is instead of having 1.5-2l bottle to drink on your desk have 3 – 4X0.5l, smaller quantities are easier to drink. Change your food habits adding more green salads and vegetables, they contain water, minerals, vitamins which helps production of collagen and elastin. Here is a good article about skin benefits from eating salads3. Have less but more frequent meal portions, chew slowly and try to enjoy eating even if it’s a broccoli (I really like broccoli). One old Ayurvedic saying goes: “chew your drinks and drink your food,” meaning: mix your fluids well with your saliva before swallowing and chew your solids until they are like liquid before swallowing. Good blood circulation is the key to an elastic and healthy skin, this will hydrate and nourish it well. People often think that if they are exercising hard it will be enough and that everything should get back at the same time – fat, skin, volume, but this is not always the case especially if it’s about quick body weight change. One of the causes are the fat cells which underlay the skin, they retain water and act like a barrier to skin cells keeping them away from the capillaries (small blood vessels) which nourish and hydrate them. While you burn calories exercising your skin is starving. – it has a firm/toned texture on touch. – can fell dry, rough or can be hyperplastic with no tone. There are many ways to improve circulation, I will go on two aspects: professional approach to this problem and some home methods to do by yourself. If you don’t have the time or willpower to do by yourself some self-skin maintenance then you can ask a massage therapist for help. You should look for specific types of massage like anticellulite massage, lymphatic drainage, wrapping + aromatherapy, roller massage, vacuum massage. Ideally you will look for a massage therapist who can provide most of these types of massage or at least anticellulite massage. Lymphatic drainage is a gentle form of massage which act on lymphatic vessels. The lymph system is the body’s drainage system. It is composed of a network of vessels and small structures called lymph nodes. The lymph vessels convey excess fluid and toxins collected from all over the body back into the blood circulation. When fat tissue increase in volume by cumulating toxins and water, the lymphatic vessels will struggle to function well so it needs some help. Usually “the pumping” effect is made by muscles when we walk, run or move around but if you are less mobile in daily activities then this type of massage will help to move the lymph towards the lymph nodes. Anticellulite massage is made superficial, on skin, rather than deep on muscles. It will involve a lot of friction techniques with the main purpose to stimulate circulation. During this massage the therapist can use preparing creams like Juniper cream or blends of essential oils. Always make the massage therapist aware of any oil allergies that you may have. Roller massage and vacuum massage. These are usually offered in beauty salons, they can have special machines with rolling effect or with vacuum effect. Rolling is a mechanical manipulation of the skin. The vacuum treatment is pumping the air out from the cups activating circulation on top of the skin. It’s a very strong therapy so it shouldn’t be done in an area with varicose or close to skin blood vessels. Wrapping and aromatherapy. Some beauty salons do just wrapping without any massage which can work too but I would recommend it to be combined with massage, this accelerates the process of skin retraction. Many essential oils can have lipolytic effects (break of fat cells) like juniper, rosemary, citrus fruits, clove, some can have lifting and detox effects like patchouli, fennel, mint, eucalyptus. Wrapping is made with film and the main purpose is to create a sauna effect making the skin sweat – eliminating water deposits. All of this used together can boost the circulation and can improve skin quality. Next you will find some oils blends which you can use at home. Before continuing to home methods, it is important to remember this rule: Better do less than overdo! Any kind of exaggeration can harm. 1. Brushing. You can use a bath brush which can increase the circulation. 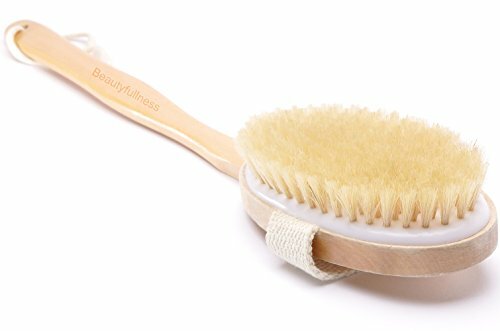 It can be dry brushing or can be during the shower. Is important to brush the skin to hyperaemia (increase of blood flow), it should get a little red. Do not exaggerate, sometimes the redness can come after the brushing so just wait for few minutes. Brushing can be uncomfortable but don’t make it painful. 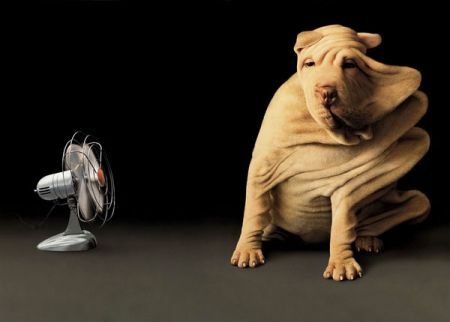 Try to cover all areas where the circulation is poor (except your face). In Rugby you can find brushes in The Body shop or at “Urbanbeauty” beauty salon. 2. Contrast shower. A contrast shower is simple. At the end of your showering alternate between hot and cold water for few seconds (20-30) each 3-4 times. The hot water dilates your blood vessels and increases blood circulation, and the cold water constricts your blood vessels and decreases blood flow. At the same time, this increase resistance of your capillaries and opens other inactive peripheric blood vessels. 3. Scrubbing. This can be done in shower using creams with scrub, coffee ground (used or not), bicarbonate of soda. Coffee ground can be mixed with some olive oil making to look like a paste. Have a shower, rub prepared paste on all your body especially on the affected area, wait for 3-4 minutes and wash it off. The Soda can be used as it is or mixed with oil. This will make your skin as smooth as a baby. Scrubbing should be done 1-2 times a week, do not overdo it so as not to harm the skin. 4.Wrapping. This can be done with home products, essential oils or special creams. Wrapping is recommended to be done for 25-30 min, but not more. You will need wrapping film, a blanket to keep warm and some home ingredients. Wrapping with apple juice, cinnamon and paprika powder. Extract juice from 2 medium apples (with juicer or finely grated and drained), mix it with half tea spoon of cinnamon and one of paprika powder. Apply with a brush (like for hair colouring) on abdominal area, hips, thighs, forearms. Do it sequentially, apply the mix one body part, wrap it. Don’t wrap too tight! Cover with blankets to keep you warm, in about 20-25 min you should fell warming sensation. After this time, take a shower. If a warming sensation does not occur, try to increase to one tea spoon of cinnamon. If it’s a very hot sensation, then decrease the dosage.Wrapping with essential oils. I recommend that you use high quality natural oils. You will need a base oil like olive oil, coconut oil, shea butter, vegetable oil; and essential oils: juniper, orange, rosemary or clove, patchouli, fennel. Blending proportion: 10ml (a table spoon) of base oil and 2 drops of each oil (blend just 3 different essential oils). Mixture is applied on aforementioned areas, wrap and keep it warm 25-30 min. If clove mix is too strong, reduce quantity of clove to 1 drop. 5. You can also do a self-massage/auto massage using the blends mentioned above. For this you can do simple rubbing, you can use fingers, knuckles, fists and the movements are recommended to be done from periphery to centre. The lymphatic drainage will be done gentle in gliding motion from periphery to the lymph nodes. This massage can be done daily. I hope this information will help your skin to look healthier. If you have any questions, please feel free to ask. Very useful information. Thanks for posting!